For brunch, the girls and I made a crumb coffee cake flavored with chestnut purée, and a streusel topping made with cinnamon and brown sugar for a rich, caramel flavor. 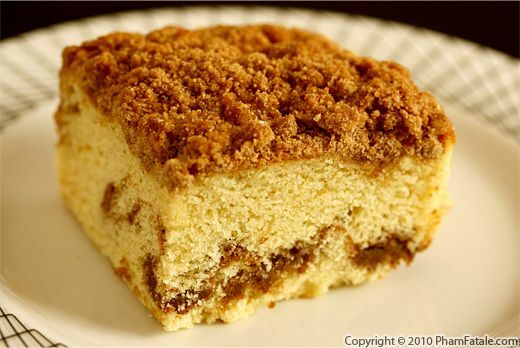 Buttermilk gives a moist texture to the coffee cake; the result was just divine. Chestnut may not be a common flavor for coffee cake, but I guarantee that after tasting it, you'll be hooked. I served the coffee cake with a big pot of masala chai. We all enjoyed ourselves. Hope your weekend is as relaxing and peaceful as ours! 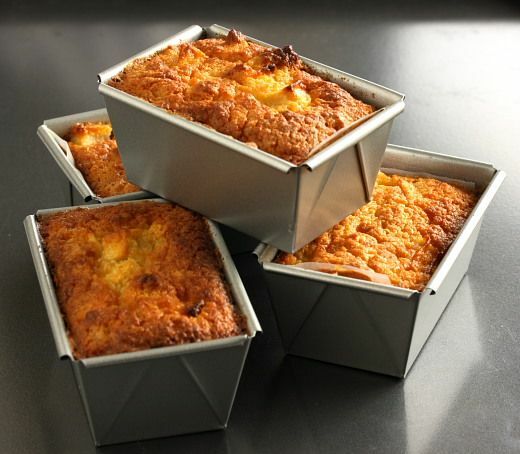 This recipe calls for all the usual suspects that are found in bread pudding, namely sugar, milk, fresh or dried fruits and some dry bread cubes. I made my apple raisin bread pudding using stale bread that has been sitting on the kitchen counter. The dryness of stale bread is actually an asset in preparing bread pudding, because the dry bread will soak up a good deal of flavor. If you buy a lot of bread and sometimes don't use all of it, this recipe might be helpful for you. 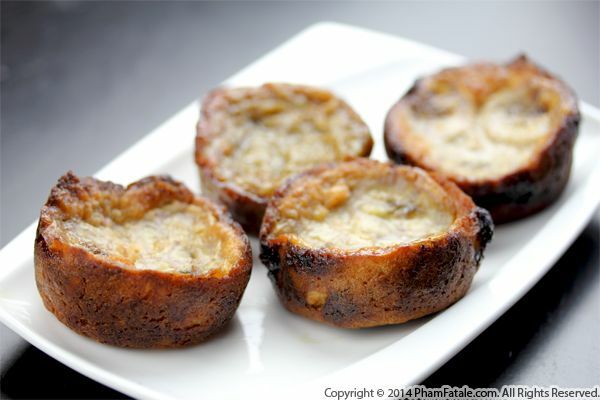 It was amazing how fast these little mini loaves of bread pudding disappeared! 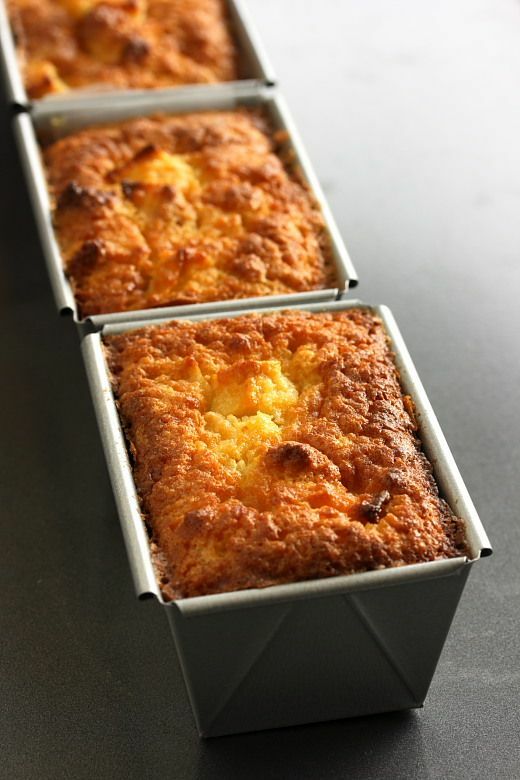 Bread pudding to me is a perfect breakfast food, similar to pain perdu, or French toast. I also often enjoy it for le goûter de 4 heures, which in English translates to "4 p.m. snack". As a child, this was my favorite time of the day! My childhood memory of a typical "4 heures" would be a piece of warm baguette with a piece of chocolate, an apple and chocolate milk. If you ask any French kid, that's pretty normal but it doesn't seem to be this way in America. The juice box and supermarket candy bar that most American kids eat (including my little sisters-in-law), definitely don't compare. 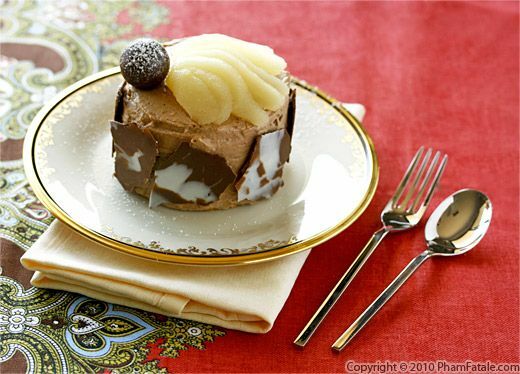 Un entremet poire chocolat is an ultra-refined dessert made of layers of chocolate cake, pear flavored mascarpone and covered in chocolate cream. 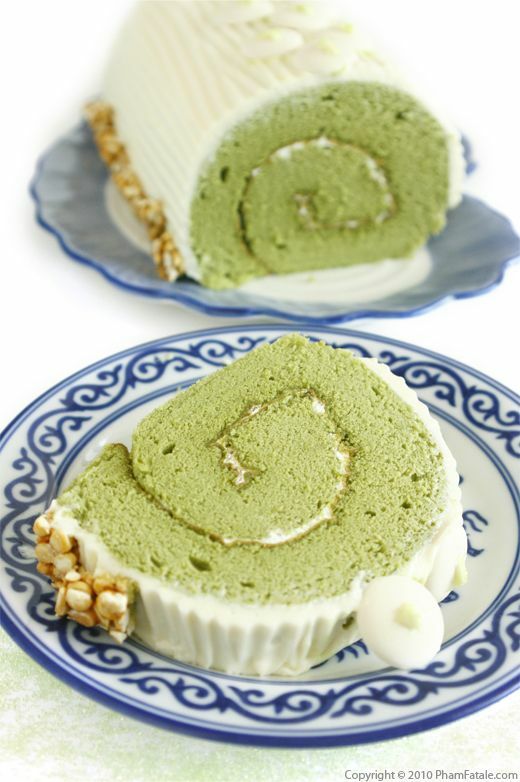 The key to this dessert is to use very fragrant and juicy pears. I waited a few days for the pears to reach the peak of ripeness. I baked the mini chocolate cakes in 4-½" diameter pans so we could each have our own serving. Of course, we ended up sharing one individual cake and feeding each other. 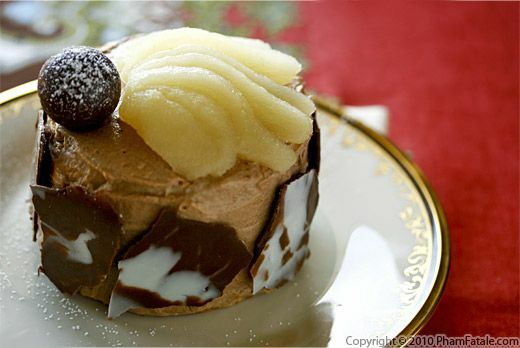 Lulu commented that the entremet was almost too pretty to be eaten, but he soon got over his initial reaction. It was the perfect way to end our Valentine's Day dinner, and I'm sure I'll be making more of these in the near future. 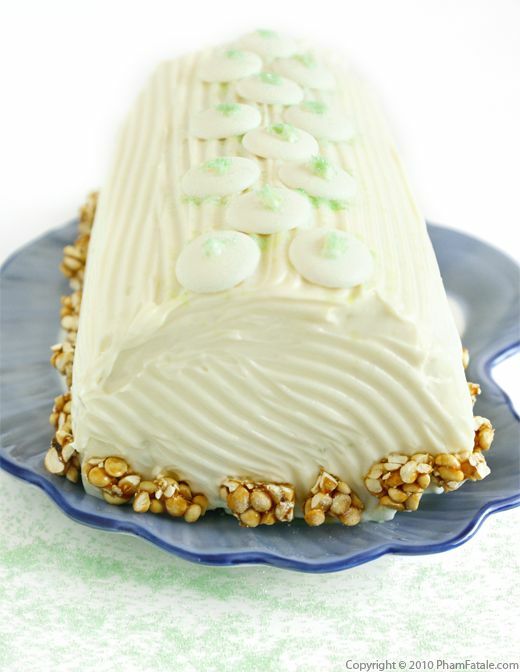 There's no reason to wait a whole year to enjoy this decadent treat again!